Herein embraces information for startups and entrepreneurs. Read over these three effective solutions which you can consider before developing an app like TaskRabbit. Let’s check out what are these. 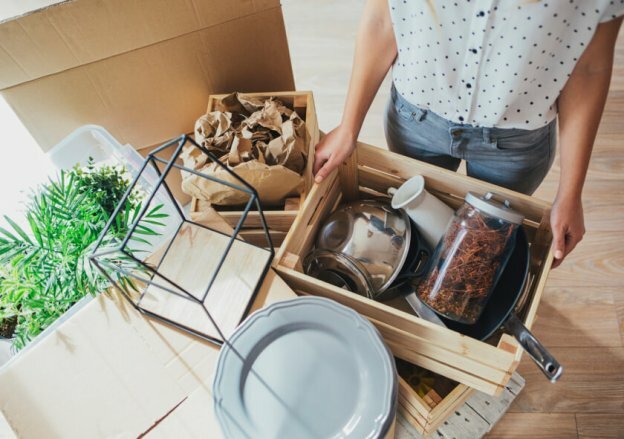 To get daily errands done, sometimes it gets quite daunting, especially when it comes to cleaning home, groceries, home repairs, a need of handyman or plumber on the urgent basis, moving, and other daily chores. In addition, whether an individual needs help to pay the bills or need general help, the gig economy includes the famous Goliaths named as Uber and Airbnb, which not only help people to get their daily chores done, but these platforms help people to earn extra cash on their own terms. Well, it would be better to understand the gig economy first. Gig economy is a new phenomenon. It provides a platform on which various organizations contract with independent workers for short-term engagements. However, the concept of the gig economy is thriving. According to the study by Intuit, “40% of American workers would be independent contractors by 2020.” Well, it is cleared that technology is the force behind its growth and increasing demand. 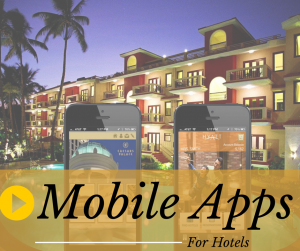 In this digital age, mobile apps play an important role to widen the gig jobs app. And, the jobs can be done from anywhere using mobile apps based on the gig economy. It also means that the jobs and locations are separate things. It means that freelancers can choose temporary jobs no matter where they are. For instance, through the famous taxi booking app, Uber, drivers can earn money around the world by just signing up the Uber app. TaskRabbit is a gig economy startup that was formerly known by RUNmyERRAND. 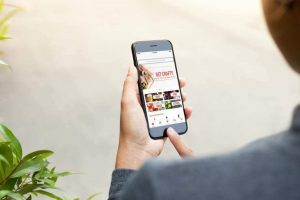 Launched in 2008, It is an online and mobile marketplace, which connects neighbors to get things done. Well, some of the popular apps based on the gig economy concept are Uber, Lyft, Instacart, Postmates, and Airbnb. 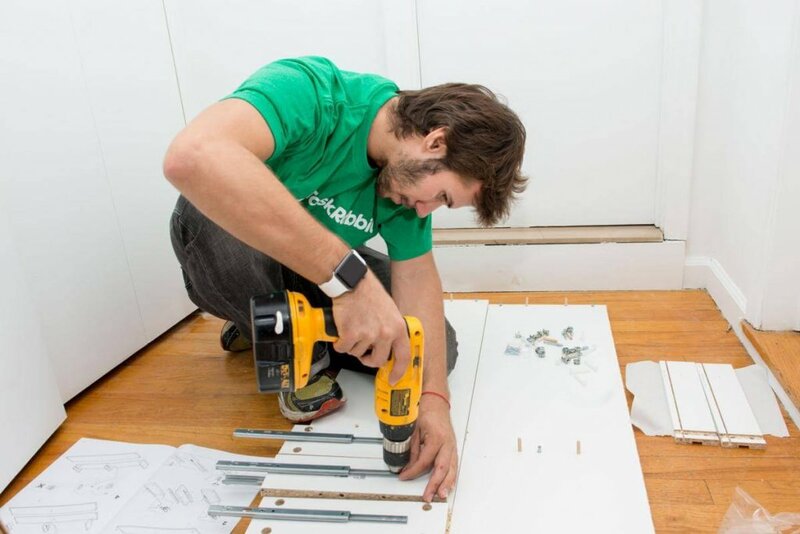 TaskRabbit app finds safe and reliable help from the neighborhood. 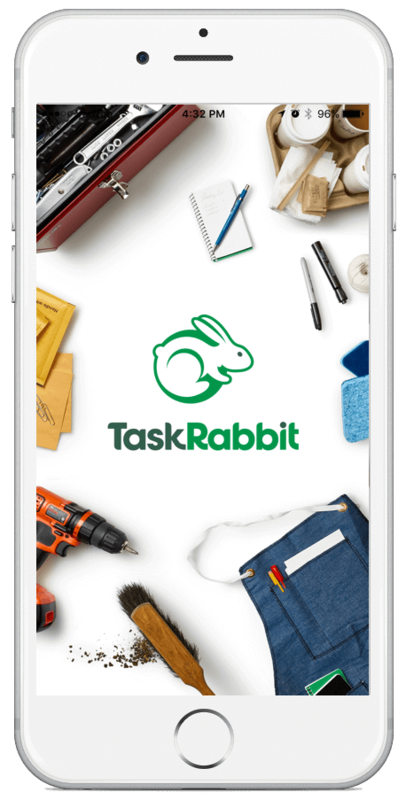 In addition, TaskRabbit app allows users to hire professionals for a range of jobs, including cleaning, handyman work, and moving services. This gig economy app also helps users to get freelancing jobs in different areas like house cleaning, handyman services, grocery delivery, storage clean out, moving, errand running (pick up prescriptions, drop off dry cleaning & ship parcels) and queuing. If we’re talking about the TaskRabbit app’s growth, then according to the report from SimilarWeb, it is growing exponentially, which you can see in the graph. If you are planning to dive into the world of “sharing economy” or “gig apps economy”, then “convenience” plays a significant role in your users’ lives. Apps like TaskRabbit has two user segments: TaskPosters and TaskDoers. TakPosters includes those users, who want to hire professionals for daily errands. While, TaskDoers includes those users, who want to make some extra bucks. In short, users who are freelancers. So, apps similar to TaskRabbit have a solution for its two kinds of app users as they would not find hassles to get freelance work as well as the user who needs to hire professionals to get things done. 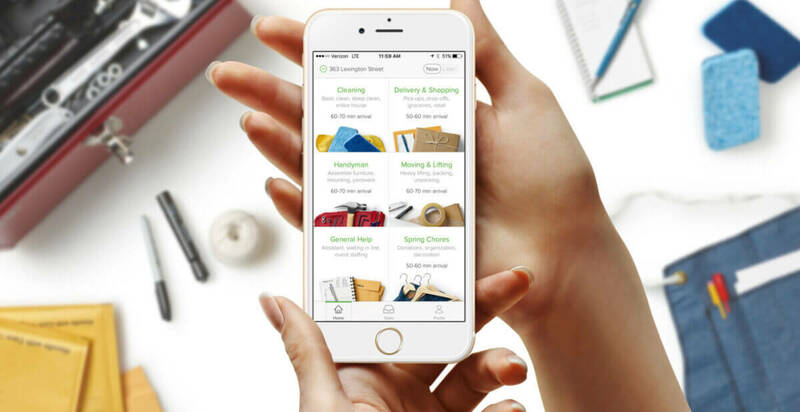 Well, errand service app like TaskRabbit is based on a strong concept as app users can make most of it. As long as convenience is concerned, TaskRabbit covers daily chores services, allowing users to get things done in a minimal amount of time and a fraction of minutes. Undoubtedly, TaskRabbit app gives a premium customer experience, and this is what you can see in the image, which embraces reviews of its users. The image reflects the convenience of the users. Thus, being a startup, if you have made up your mind to create an app similar to TaskRabbit, then it is essential that your business model must provide solutions, which majorly offer convenience to your app users. However, this is one of the major solutions and essential checklist, which you can’t afford to miss before developing an app like TaskRabbit. One of the unique solutions, which make TaskRabbit stand out is to help out neighbors. Believing that life should not be spent on daily chores, TaskRabbit app has come up with the solution to find out safe and reliable help in the neighborhood. However, TaskRabbit has come up with such unique solutions, which is also beneficial for users who could not go out and buy some essentials on an urgent basis. Well, the world is moving towards the robots and automation. But, there are still some chores such as house cleaning, beauty service, and dog walking that undeniably need more human qualities. So, we can say that such areas can’t beat by robots or automation. In short, individuals need individuals. Furthermore, this is one of the effective solutions which is provided by TaskRabbit app. When it comes to daily errands, then there is nothing complicated than to get these things done, especially when it is on an urgent basis. Furthermore, apps like TaskRabbit allow to save and make extra bucks for both the app users, including TaskDoer and TaskPoster. To create TaskRabbit alternatives, you need to come up with such effective solutions after releasing the pain points of the consumers in a particular niche. In this fast changing retail environment, you need to bring the solutions, which make your customers’ lives easier whether it is about to hire a professional for daily errands like cleaning, moving, plumbing, handyman, assistance, delivery, and shopping or anything. Provide such solutions that allow users to get all the things done within 90 minutes or less at an affordable cost. Thus, this is one of the major solutions, which you need to keep an eye on to add value to the lives of your customers/app users to get success like TaskRabbit. Are You Ready to Develop an App to Take Stress Out from Your Users’ Lives? Now, you have just gone through with the effective solutions, which you as a startup can assess before developing apps like TaskRabbit for daily errands. If you are also ready to develop a successful gig economy app like TaskRabbit for a variety of home services, then you can come up with such effective solutions, which can erode the pain points of your consumers. If you are ready to dive into the world of gig economy, and encountered with a great app idea, which has potential to flourish like TaskRabbit, then you can cross verify it with us as we are a leading iOS app development company and have already developed over 50 on-demand solutions with diverse features and functionalities. In case, if you still have any query or confusion regarding gig economy app development, how long does it take to make an app like TaskRabbit, app development cost India or how to make money with an app idea, then you can get in touch with us through the below-given form and one of our sales representatives will revert to you as soon as possible. The consultation is absolutely free of cost. This page was last edited on January 21st, 2019, at 8:14.